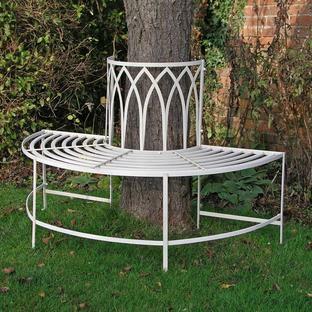 A simple, delightful tree seat which will fit comfortably around the edge of a tree in a garden or orchard. 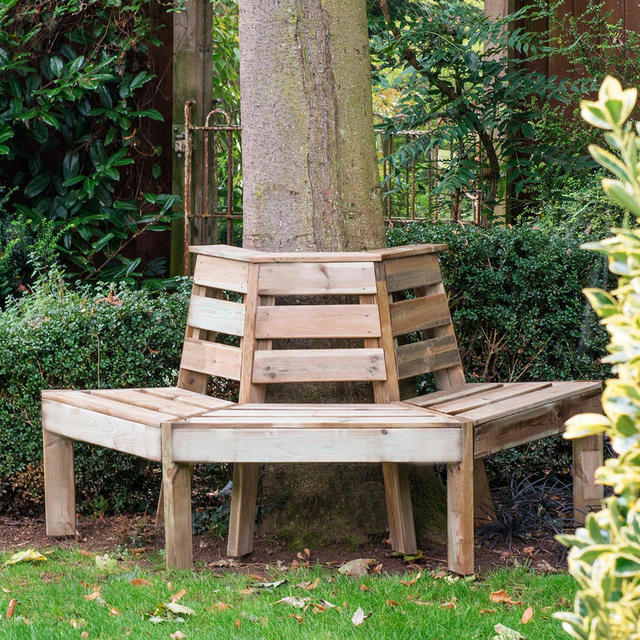 The tree seat is specially designed to be placed around a tree in your garden giving you the perfect place to relax and enjoy your garden in comfort and shade. 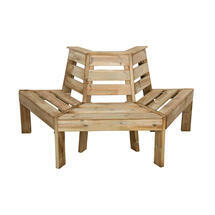 Ideal to use on its own or combine two seats to form a circle around a tree. The wood will weather to a soft silver grey. Pressure treated soft wood with a 15 year anti rot guarantee. 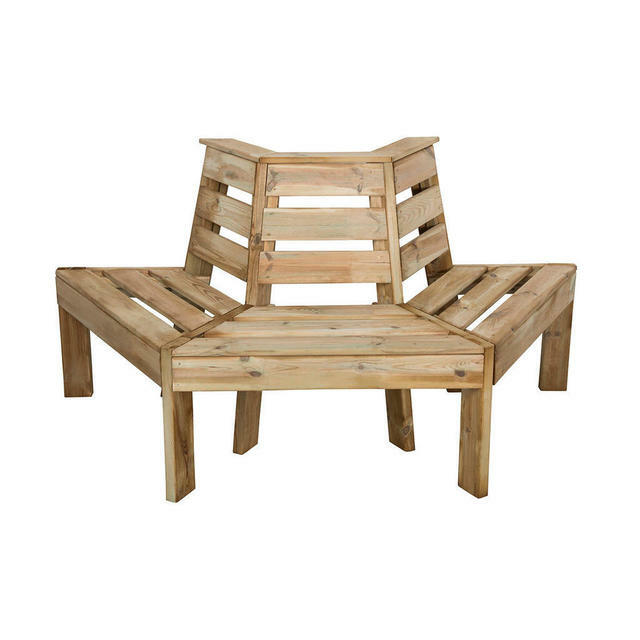 The timber in this product is pressure treated to ensure longevity and protection against rot. 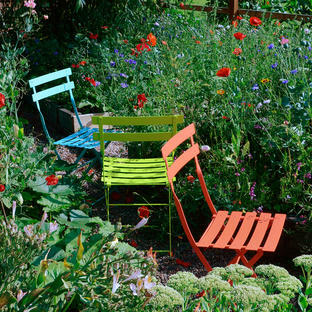 This may leave a colour variations, but these will even out as the moisture content stabilises. Timber is a natural material and will shrink and swell as a result of varying moisture content. Instructions and fixings supplied, but holes will need to be pre-drilled to avoid splitting. 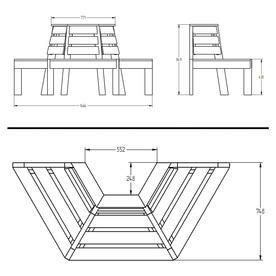 Widest point is 55.2cm across and the depth is 24.8cm - please refer to the supporting images for a diagram.